Discover new Nintendo Switch Games. Be notified when games are released. Get prices directly from the eshop. 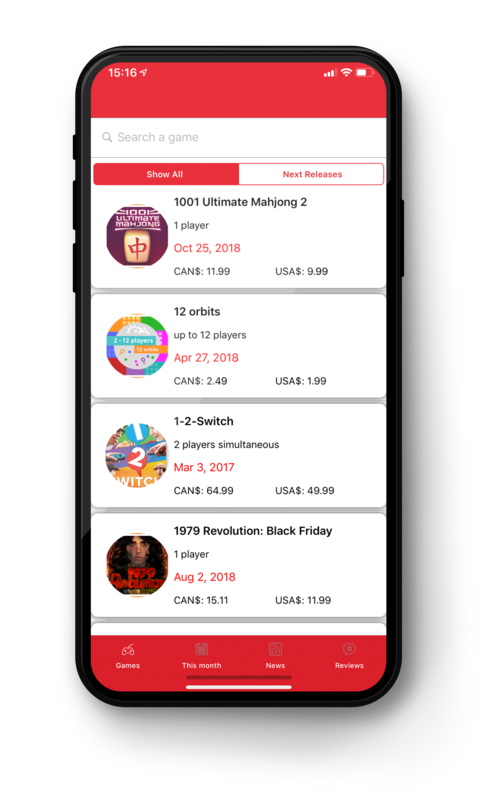 With Switch Calendar you can see the Nintendo Switch game library with game descriptions, screenshots and release dates. The news and reviews are taken from the Nintendo Life site.